The Blue Chub looks a lot like the more well-known Tui Chub to the untrained eye. Look for a blue-green tint, a mouth that is less rubbery and more like a trout’s, and smaller scales. I drove almost 100 miles and spent hours in a car on a windy, gravel road. I fished in Clear Lake Reservoir that serves as the headwaters of Lost River, and I eventually got my quarry in the river below the dam. This all sounds great but for the fact that the Blue Chub is actually super-common in Upper Klamath Lake. In fact, I’ve since paid attention and found it to be more common than Tui Chub. The fish pictured above was actually caught at Topsy in the spring before I went to Northern California, but since I hadn’t yet learned to tell them apart from Tui Chub, I hadn’t even counted it or given the Blue Chub its due. The fish I captured in Lost River that day took a partial worm. I got no other hits, and it was an uneventful day in which my allergies almost killed me. 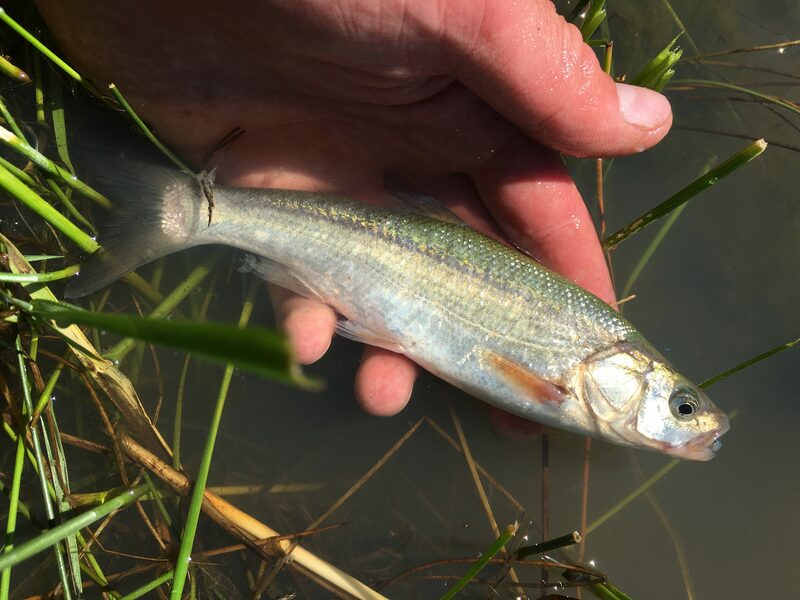 This Blue Chub came from the headwaters of the Lost River and looked more distinctive and aligned better with the textbook descriptions of this species than most of the fish I’ve caught locally since then. It definitely wasn’t the first unnecessary drive for a species in my backyard, but now that I’ve caught every native in Klamath County save for the endangered Miller Lake Lamprey — at least, at time of writing July 1, 2018. Still, it was a nice change of pace. I’d never fished Lost River above the Harpold Road dam before. 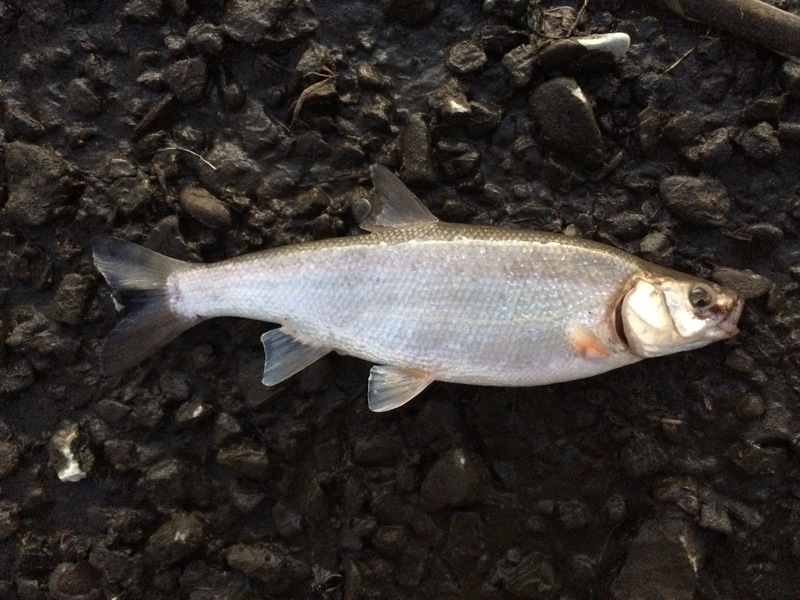 Read the next entry in #SpeciesQuest here: Species #78 — Thicklip Gray Mullet.